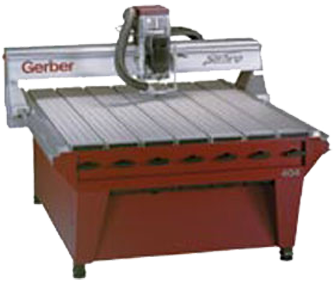 Gerber Sabre routers are ideally suited for dimensional sign making, woodworking, and parts fabrication applications. Sabre routing systems offer high-speed letter and graphic design routing along with dependability, flexibility, ease of use, and minimal maintenance. Increase capacity while reducing customer lead times with the Gerber Sabre. Combine the Sabre with Gerber’s top of the line router bits for a complete automated routing solution.